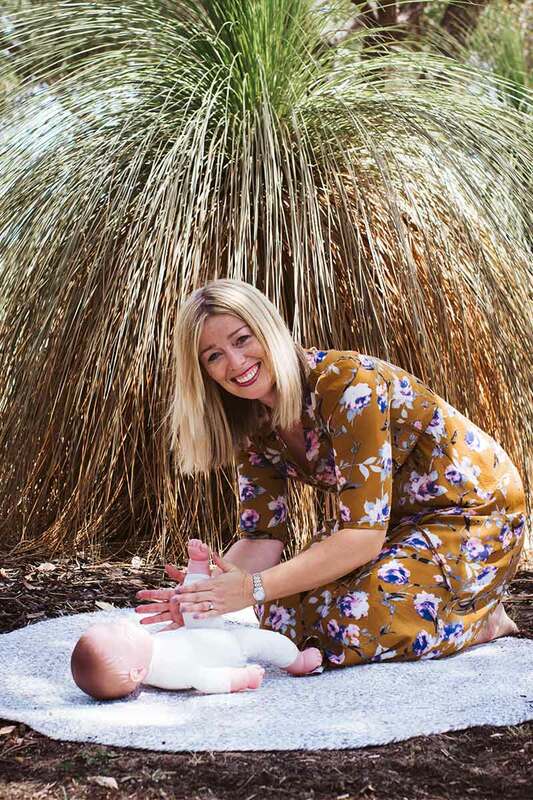 Lucy Brown, founder of Baby Massage Perth is an accredited Infant Massage Instructor by IMIS (Infant Massage Information Service). Lucy’s background is working in corporate, studying natural health, then since becoming a Mother, has turned her passion of natural health into helping other new Mother’s overcome the common problems faced in the first years of parenting naturally in a supportive natural environment. Lucy being a Parent herself understands the challenges of when a baby doesn’t sleep, endless nights of crying, wind, constipation, eczema, post-natal depression and so on and her goal is to promote the use of baby infant massage to help others overcome such challenges plus to enrich the bond between children and their families. There is an endless list of additional benefits which Baby Massage Perth teach about in their classes. Motherhood doesn’t come with a manual and Lucy’s mission is to help Motherhood be easier for Parents helping overcome problems in a gentle way, while at the sometime connecting with their baby, even the other parent in newly faced or challenging times. Baby Massage also helps prevent any of these issues occurring in the first place by simply incorporating regular practice of baby massage. Lucy’s goal is to promote the use of baby infant massage to enrich the bond between children and their famiies while providing a practically endless list of additional benefits.